CSS has come a long way since its early days, when it provided a bit of help to a mostly HTML-oriented world. Today, nearly any serious multi-page site relies on CSS to provide consistent and attractive interfaces that layer smoothly on top of an HTML foundation. 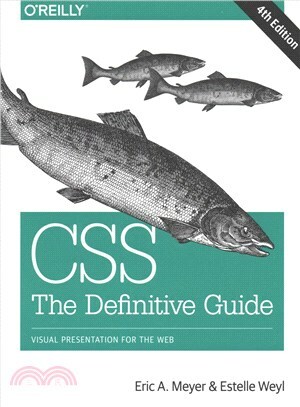 CSS: The Definitive Guide, 4th Edition provides experienced web developers with a comprehensive guide to CSS implementation, along with a thorough review of all aspects of CSS 3. Updated to cover Internet Explorer 10, Microsoft's vastly improved browser, as well as Safari, Firefox, Chrome, and Opera, this new edition includes content on transitions, animations, new selectors, paged media, and more.